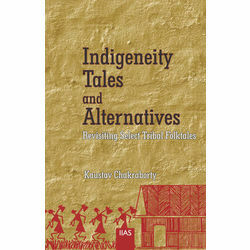 This is an attempt to analyse the non-mainstream perspectives as alternatives by critically interpreting the folktales of the four tribal communities who live in the northern part of West Bengal. While focusing on the alternatives in the folktales of Toto, Rabha, Limbu and Lepcha communities, the work addresses the possibilities of an eco(alternative)masculinity, de-stereotyped skills, memories of indigenous transgenderism and the use of 'trickster' in subverting the mainstream ethos. Anyone who gets otherised by the mainstream might feel at home by revisiting the tribal domain which is more inclusive, as revealed in their folktales, and thereby, initiate dialogue with these communities who are also the victims of the neocolonial state.